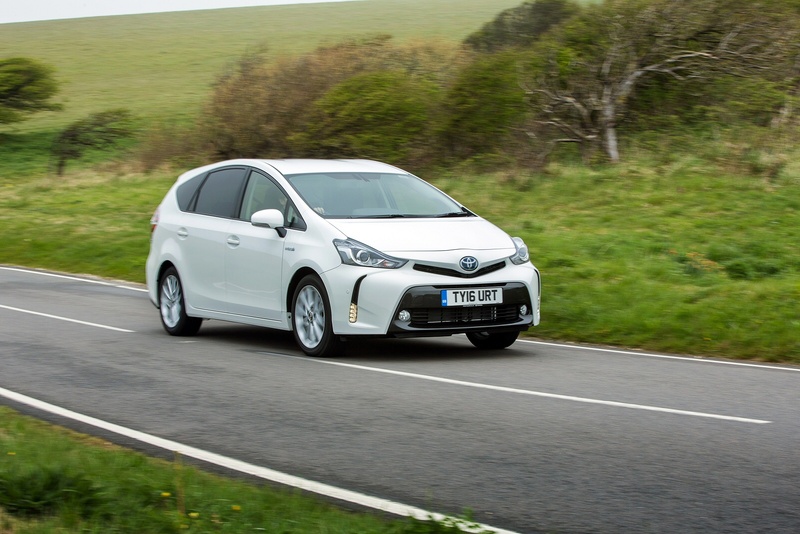 Like most vehicles of this size, the Prius+, here smartly updated, should only be thought of as an occasional seven seater, but it scores plenty of credit points in the way it translates the Prius' hybrid driving experience to a bigger body. 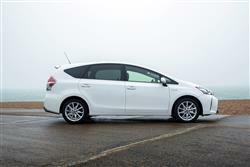 Capable of 68.9mpg and 96g/km, it's a brilliantly green contender in an otherwise crammed market. This improved version gets greater refinement and upgraded multimedia capability. 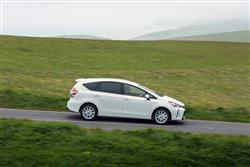 Perhaps the most puzzling thing about the Toyota Prius+ is that it took until 2012 to appear. Think about it. Toyota started selling its Prius hybrid in 1997 and its sister company, Lexus, began shifting hybrid SUVs in 2004, eight years before this petrol/electric hybrid MPV first appeared to plug the yawning gap between the two products. 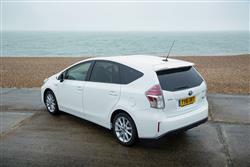 The catalyst for the development of the Prius+ was the launch of the massively improved third generation Prius in 2009. Bigger, slicker and better to drive, here was a platform that could be extended to a more family oriented vehicle without too much trouble. 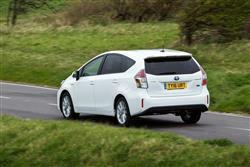 Enough with the history: bottom line is that the Prius+ was worth waiting for and has now been usefully updated. 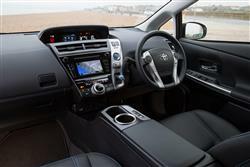 The engineers say it's quieter under acceleration, plus inside, you now get the brand's latest 'Toyota Touch 2 multi-media system. Otherwise, the recipe is much as before. It might not be radical but it's packed full of smart and practical thinking. As we'll see here, the Prius+ is more than a Prius with a pair of seats tacked onto the back. One of the issues with the original version of this car was the thrashy nature of its CVT belt-driven automatic gearbox. 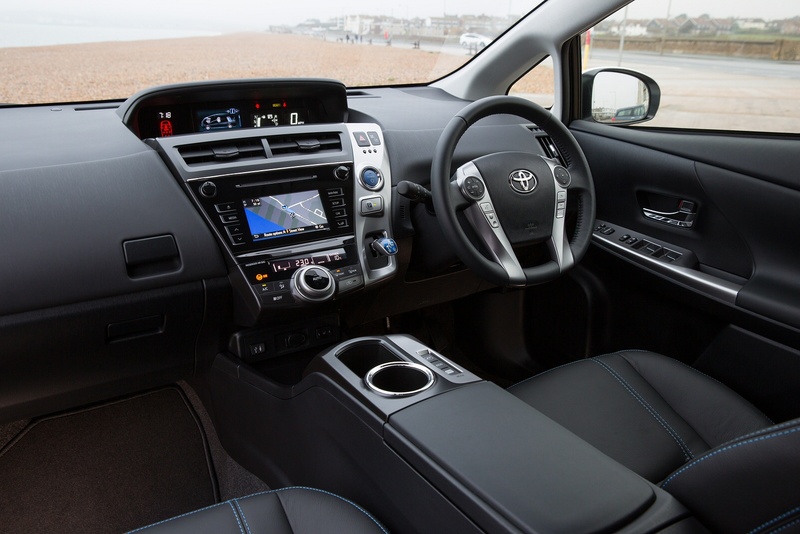 This is something Toyota took its time in trying to solve but the engineers say that this is much less of a problem in this revised model, which is claimed to be significantly quieter under heavy acceleration. Otherwise, the dynamic recipe is much as before. Gone are the days when hybrid vehicles could be lousy to drive, counting instead on their green credentials to wash over the fact. The Prius+ doesn't look the obvious candidate for a spirited steer, using as it does the older-tech engineering and technology from the MK3 Prius, rather than the latest MK4 model. All, however, is not quite as it seems. 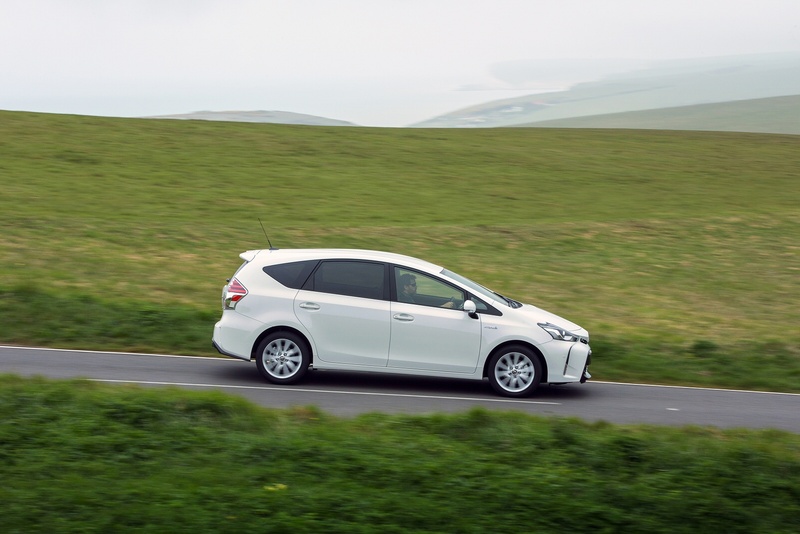 Toyota has lowered the final drive ratio of the transmission to make the Prius+ accelerate that bit quicker and it also uses more advanced lithium ion batteries that are 8kg lighter yet still preserve the electrically powered range of around two miles. Prius+ buyers also get a sharper steering ratio and the damping has been adjusted to cope with more weight in the vehicle. One thing you'll notice if you come from a Prius hatch is this MPV's very clever anti-dive and anti-pitch system that smooths powertrain torque to keep the body level under braking, hard acceleration or over road imperfections. It's still not a quick car by conventional measures, the 1.8-litre 98bhp petrol electric engine reaching 62mph from standstill in 11.3 seconds and running onto 103mph, but the urge of the electric motor assisting the four-cylinder petrol engine makes it feel a good deal brawnier than the numbers suggest. If you haven't looked at a Prius+ since its original 2012 launch - or you owned an early version - you might notice that today's car has a slightly sharper look. That's courtesy of slightly sharper front end treatment with sleek LED headlights, plus there are LED rear lamps. In the cabin the centre console has been restyled in recent times with a dark trim finish, plus the seat fabrics are smarter these days. A colour TFT screen is also now used on the upper instrument panel. The practicality hasn't changed though, which means that the second row of seats features three very useful independently sliding/split-folding chairs, while the third row seating out back features a 50:50 split-folding row. To make space for these extra pews, the battery pack has been shifted to the centre console between the front seats. With all seats in place, Prius+ has 232 litres of cargo space up to the roof, which is a little misleading as virtually every other manufacturer quotes a figure to the height of the parcel shelf. 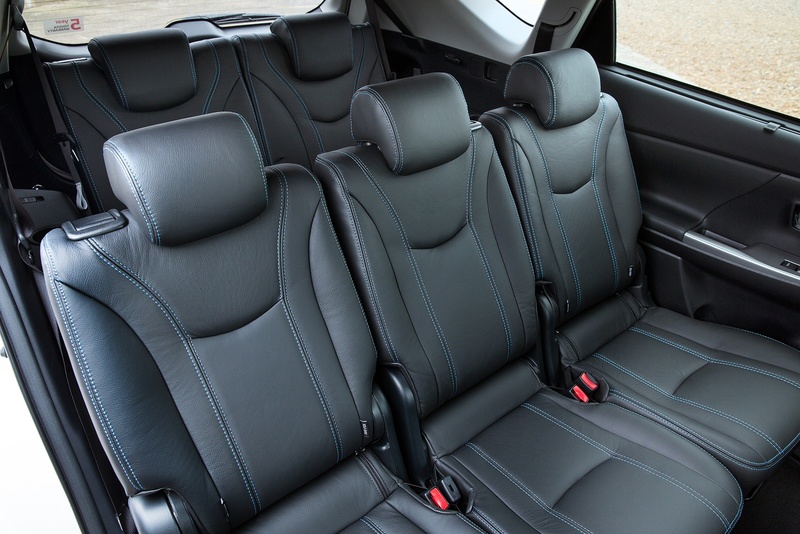 With the third row stowed, this figure rises to 784 litres, and when all the rear seats are folded flat, a maximum 1,750 litres is available. There's also a 60-litre storage tray beneath the luggage deck and loads of storage throughout the cabin, including an 8.5-litre glovebox, a 4.5-litre upper glovebox and an accessory space on the side of the driver's seat. If you thought this was going to be a really expensive car, think again. Prices start at what you'd expect for an upper mainstream diesel hatchback, with the Prius+ Icon weighing in at around £27,000 and the range-topping Excel Plus demanding around £31,000 of you. That compares reasonably with upper-end versions of other seven seat MPVs such as Vauxhall's Zafira Tourer. There's a fair lick of equipment offered as well. 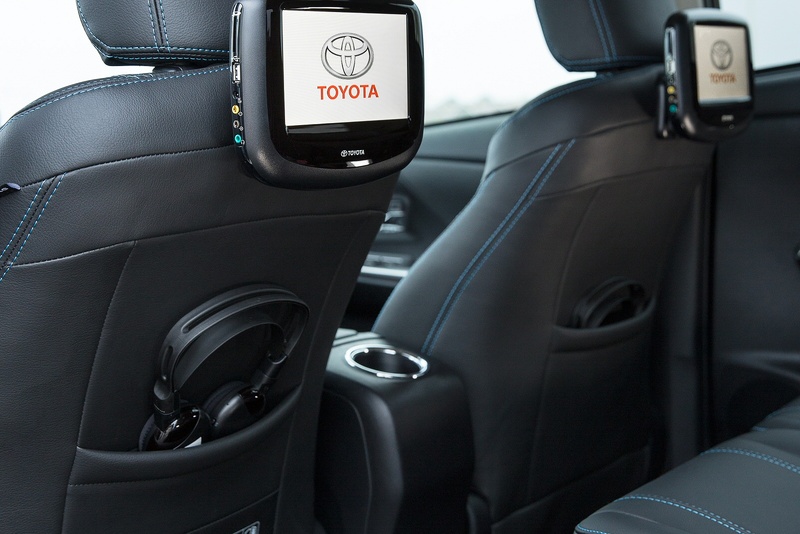 Both versions come with smart entry and start, a head-up display and the latest version of the Toyota Touch 2 multimedia touchscreen which allows users to link to a number of on-line resources, including Google Search, Google Streetview, Aupeo!, Aha and Twitter. As before, this system that brings with it Bluetooth for mobile phone connection, along with audio streaming and a rear-view camera. A panoramic roof is also part of the package, together with automatic air conditioning and automatic windscreen wipers. Excel models go further still with 17-inch alloys and Adaptive Cruise control. 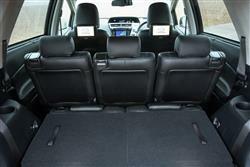 The top Excel Plus variant adds full leather upholstery and a DVD rear seat entertainment package. The stereo system uses GreenEdge technology to ensure the speakers, amplifier, equalisation and even the positioning of each component work together to deliver high sound quality and low power consumption. The high-efficiency JBL GreenEdge speakers generate twice the sound output levels of conventional levels for the same amount of power use. They have custom-designed acoustic lenses that spread a more powerful sound across an even wider frequency range. If you needed an excuse to go for the more expensive version of the Prius+, grab a favourite CD, lock yourself in one at your dealer and crank the volume up. 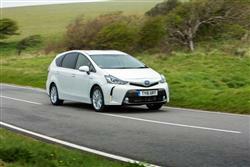 The Prius+ cannot succeed without offering compelling cost of ownership figures. The novelty has well and truly worn off hybrid cars, to the extent that they're now judged by the same tough criteria as petrol and diesel models. So how does it stack up? Not badly at all actually. We've already seen that the upfront pricing is fair and early concerns about Prius battery durability have been shown to be completely unfounded by the legions of 300,000 mile private hire vehicles still running without a murmur. As a result, used demand is strong for any Prius family vehicle. Day to day running costs are also nailed right down. In normal use, the Icon model will return 68.9 mpg while the bigger wheels of the Excel take the edge off that a smidgeon, that car getting 64.2mpg. Emissions are rated at 96g/km for the Icon and 101 for the Excel, which may be key in the buying decision as it means the two cars are in different tax bands and only the T4 is exempt from the London congestion charge. In this current model, the dashboard infotainment screen also displays the Hybrid System Indicator and Energy monitor - features common to all Toyota hybrids. Plus it provides a clever "Eco Judge" function, designed to help the driver maximise the powertrain's efficiency, giving a points score for their eco-driving style. If you�re looking for a new Toyota Prius+ 1.8 VVTi Excel TSS 5dr CVT Auto Hybrid Estate for sale, you�ve come to the right place. 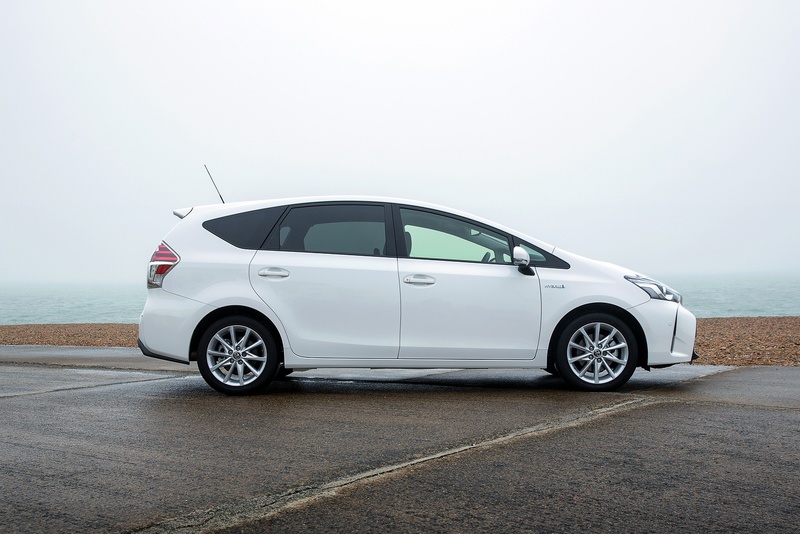 At Bristol Street Motors we don�t just have the best Toyota Prius+ 1.8 VVTi Excel TSS 5dr CVT Auto Hybrid Estate deals, we also offer friendly advice and help with all your enquiries to ensure your buying experience is a happy experience.